At Get Rich Slowly, my goal is to help you make the best possible decisions with your income and spending. Having said that, we're all human. We all mistakes. We all do dumb things with money. And I feel like April Fools' Day is the perfect time to talk about some of the stupid things we've done in the past. Let me give you an example (or three) from my own life. To begin, I'll retell a classic tale of my financial foolishness, one that has delighted my readers for over a decade. It's all about how I paid $1500 for a “free” Frisbee. On the first day of college, I opened my first bank account. The gym was filled with registration tables, not just for classes and clubs, but also for banks and credit cards. Since I was receiving a small stipend to cover living expenses, I needed a checking account. The two banks vying for attention used different methods to attract students to their tables. A small local bank had a sign that promised “free checking”. 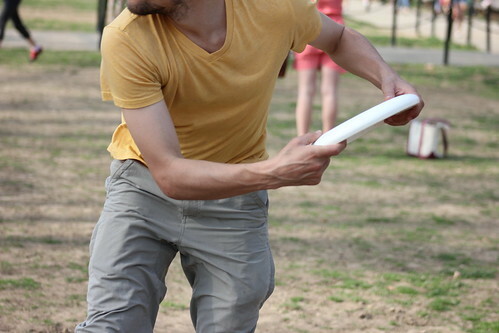 A large national bank gave away a Frisbee to anyone who opened an account. The choice seemed easy: I wanted the Frisbee. I signed up for my checking account, deposited my money, and got my free Frisbee. I spent the afternoon on the quad tossing the disc back and forth with my roommates. When it was time for dinner, I took the Frisbee up to my room, put it in the closet, and never used it again. Ever. But I had that checking account for nearly two decades. Classes started. I forgot about the Frisbee and the checking account. The next month, I received my first bank statement. There was a $5 service charge. It didn't seem like a big deal. I figured it was part of the package, part of being a grown-up. My parents had always paid a service charge on their checking account, and I expected I always would too. For the rest of my college career, I paid $5 per month to maintain my checking account. When I graduated, I continued to pay $5 per month. During the 1990s, that fee increased to $8 per month, but I barely noticed. In fact, I paid a monthly fee for checking from September 1987 until June 2004. For 202 months — nearly seventeen years — I paid for the privilege of writing checks. Then, when I started turning my financial life around, I left the major national bank and moved to a local credit union. I've had my checking account at that credit union for nearly fourteen years now and have never been charged a fee of any kind. One foolish choice as I entered college cost me nearly $1500 — enough to buy about one hundred Frisbees. And that's just one of the foolish financial choices I've made in my life. By the mid 1990s, I had accumulated over $20,000 in credit-card debt. And I was digging the hole deeper every day. On 21 July 1995, my father died after a long battle with cancer. Before he died, he managed to take out a very bare bones life insurance policy. (He hadn't thought to acquire life insurance before he contracted cancer. After he got sick, nobody would insure him. Or, more precisely, one company would — but only minimally.) When the dust from his death had settled, Dad had managed to leave each of his three sons $5000 in life insurance money. A smarter man than I was might have taken this money and applied it directly to his $20,000 in credit card debts. That's not what I did. Instead, I put $1000 toward my debt and patted myself on the back. I took the other $4000 and bought a fancy new computer — a Macintosh Performa 640CD DOS-compatible — and lots of computer games. Then, to make matters worse, within weeks I maxed out my credit cards again, effectively negating the $1000 I had put toward debt reduction. There's no question: The old J.D. was foolish with money. But even after I started reading and writing about money, I still made some foolish mistakes. True story: I still owned that Macintosh Performa 604CD DOS-compatible personal computer until last autumn. After Kim and I returned from our cross-country RV trip, my ex-wife contacted me. “You still have a bunch of computer stuff in a shed at my place,” she said. “Can you get it out of here.” One of those computers was that twenty-year-old reminder of my foolishness. I gave it (and all of the other computer stuff) to a middle-schooler I know. As I began to manage my money wisely during the mid 2000s, I made sure to fully fund my Roth IRA every year. But I hadn't yet discovered the virtue of index funds, so I put my retirement money into individual stocks. But not just any individual stocks. I thought I was savvy enough to spot beat-up stocks that were bound to recover. Hahaha. I was wrong. In the fall of 2007, for instance, I had dinner with a friend who worked in the corporate office of The Sharper Image, a company that manufactured fun and fancy gadgets. The company's stock was in the toilet, but my friend said that management was certain that things would soon turn around. It was just a passing remark in a much larger conversation — he wasn't trying to get me to buy the stock — but it planted a seed in my brain. The next day, I had to decide how to invest $3500 of that year's Roth IRA money. I should have done some research. I should have put the money in index funds. (I had just begun learning about index funds, but hadn't yet become a die-hard proponent of them.) Instead, I bought $3500 of Sharper Image stock at $3.14 per share. I was gambling, plain and simple. And I lost. Within a few months, The Sharper Image declared bankruptcy. Overnight, the value of my investment dropped from $3500 to $200 — and then to zero. It's still worth nothing today, over a decade later. It will never be worth more than that. Yet I keep those 1115 shares in my Roth IRA just to remind me of how foolish I was. It's not just me, of course. We all make mistakes now and then. Some of them are minor, but some of them are doozies. Last year, I asked members of the Money Boss group on Facebook to share some of their biggest money mistakes. Here are a few of my favorites. Then there's Amy, who made the same mistake I see people make again and again and again: Cashing out their retirement accounts when they switch jobs. I'm sure you have made money mistakes in the past too. Maybe you're still making them — or suffering the consequences of past mistakes. Feel free to share your story in the comment section below! Educate yourself. The more you know, the better choices you'll make — and the better you'll be at anticipating problems. 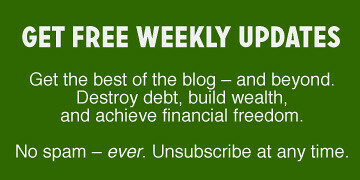 Read personal-finance books, magazines, and blogs. Most importantly, talk to people you know who have control of their finances. Learn from their mistakes so you'll be more likely to avoid similar pitfalls in the future. Be prepared. Your work as CFO of your own life involves both offense and defense. You practice defense when you practice preparation. The best way to prepare? Boost your profit margin! The larger your saving rate, the larger the buffer between you and disaster. Maintain an adequate emergency fund. Keep your insurance up-to-date. Make use of barriers and pre-commitment so that you'll do the right things automatically. (The more you remove the human element from the equation, the safer you are.) Create a cash buffer to allow you take advantage of both emergencies and opportunities. Don't panic. When you suffer a setback or realize you've made a mistake, try to relax. Don't freak out. Take an hour or two to distract yourself. Better yet, sleep on the problem. It's amazing how a little time can help you gain perspective. Believe in yourself. Though you may not know exactly how to solve the problem at hand, trust that you'll find a solution. You're smart. You're resourceful. You're competent. Stay positive, solve the problem, and learn from the experience. If possible, undo the damage. Some mistakes are reversible. Suppose you just blew a bund of money on new clothes or are feeling buyer's remorse over your new Nintendo Switch. Return the items. Or, if that's not an option, immediately sell them to recoup some of your loss. Evaluate your options. Obviously, some mistakes are not reversible. If you accidentally change lanes into another car and total both vehicles, there's no undoing the damage. So, make the most of the situation. Compile a list of options. Keeping your long-term goals in mind, figure out the best course of action. This will help you avoid making rash decisions. Don't let it get you down. From personal experience, I know how tempting it can be to ease the pain by spending more money. But compulsive spending just makes it more difficult to reach your goals. It makes you feel worse, not better. Fight the urge to practice “retail therapy”. Stay away from your Amazon account. Don't let one problem snowball into two or three. Learn from your mistakes. Figure out where you went wrong. How did that traveling salesman convince you to buy those overpriced steak knives? What can you do to avoid making the same mistake in the future? Don't beat yourself up, but take a calm, rational look at how you can make better choices next time. Don't dig a deeper hole. Money spent is money spent. Just because you've already sunk $200 into a gym membership you never use doesn't mean you need to keep spending money on it. Cut your losses by getting out as soon as possible. Keep your goals in mind. A setback is just that: a temporary roadblock on your journey toward something more important. Make peace with the past and keep your focus on the future. Setbacks are disheartening but remember: Failure is okay. Mistakes are lessons in disguise. There's a Japanese proverb about perseverance that translates as “fall down seven times, get up eight”. Successful people fail just as often as unsuccessful people; the difference is that successful people learn from their mistakes, get back on their feet, and resolutely march in the direction of their desires. If you've made some foolish choices or had some bad stuff happen to you — or both — don't give up. Use the mistakes to launch yourself on a new path. It's never too late to change direction and start making smarter choices. Build your future from the ashes of the past. There are 16 reader responses to "Foolish money mistakes — and how to avoid them". Warren Buffett’s business partner, Charlie Munger, says there is only three ways a smart person can go broke: liquor, ladies, and leverage, with “leverage” referring to the practice of borrowing money to buy stocks. Anyway, after 2 divorces, I know all about losing money to the ladies haha!! You have my sympathy! My late husband lost his to his second wife… in the midst of the 1980s divorce debacles… (what I called them..) as almost any man getting a divorce during that time suffered. I have always called those losses “tuition for the school of life”. Failure can really hurt, but ideally they protect you from bigger ones. I’ll add, don’t compound a mistake by doubling down on it. 1) Keep a minimum of $2500 in a non-interest paying checking account, with unlimited check writing and “free” teller access, or pay a $5 service fee. 2) Keep a minimum balance of $1 in a non-interest paying checking account, with no more than 10 transactions a month, and pay $5 service fee to speak to a teller to sort out problems. I looked at my 2nd choice (the one with the much less convenient branch) and discovered the same deal. I was shocked and dissapointed that at neither institution direct deposit wouldn’t qualify me for a free account (my take home pay after pre-tax deductions for 403, HSA & health insurance is less than $2500). I was also a little miffed that neither will reimburse ATM fees. I second your caution on the “local CUs are always better than national institutions” advice that seems to be prevalent. 1) Poor service. In my case, the local CU we chose for our mortgage because of an offered 30-day close (essentially) lied about the rate, leading to a quarter percent surprise (not in a good way) at closing. 2) Lack of accessibility. After moving states for work, I contacted a CU in my previous location where I had an auto loan ready to pay off. When I asked for the procedure for closing my account after the payoff, I was told it must be done in person, no exceptions. This CU was NOT part of any co-op or ATM sharing, so my membership shares sit there waiting for me to return. Yes the “free” ATM scam drives me up the wall and through the roof. No, I’m not paying $2-3 dollars to access my money. I would find 5 or 10 CENT fee per transaction to pay for maintainance, restocking, and electricity annoying but fair on an in-network machine, but $2-3 is just rancid. Yes, but your credit union (or bank for that matter) doesn’t control what ATMs you use or what those providers choose to charge you. My credit union uses the COOP atm network which IME is in every 7/11. Generally easy to find a free one. I’ve made some pretty big financial mistakes myself, but the most important thing is to learn from them. Hopefully that not only keeps you from repeating the same mistake, but puts you on the lookout for other potential mistakes you might make. Someone I know often speaks wistfully of the golden years in his life, now long past. Those were the days when he was in his 20s and 30s, working an entry level job and spending his leisure time going to concerts and sitting around with his friends smoking pot. The idea of saving money never entered his consciousness. Sometimes he could make up for a budgetary shortfall by gambling. Sometimes not. Fiddle de dee, I’ll think about that tomorrow! Now he’s in his 60s and working paycheck to paycheck and hand to mouth at Z grade part-time jobs, which he’ll probably have to do for the rest of his life. He never had anything above an entry level job in his life, and for some reason employers just aren’t hiring guys his age with that kind of work history. Fancy that. I don’t claim to be financially perfect, far from it, but at least I knew the difference between what I want today and what I’ll need tomorrow. Sad. He’s a victim of reality, to quote S.G. But the thing about America is even losers can get rich. If this guy would have just been throwing a few bucks into VTSMX here and there, he’d be good to go right now. He could have kept his entry-level, dope-smoking lifestyle going all these years and been just fine now. I’ve always wanted to coin a phrase! Do you still have your SHRPQ shares? My broker removed mine as ‘worthless’ end of last May. I guess unlike you I don’t have regrets because I see such losses as a cost of doing business. I’ve been playing mean reversion speculations for three decades now. I spread it out thinly, and most end up wiped out but, but the relatively few winners can give awesome returns. My ‘secret’ if you want to call it that is I usually look at what Dimensional Fund Advisors holds in penny stocks (especially if they own over 2% of the float). There is major adverse selection in this space that index funds are largely immune to, but using DFA as a filter weeds out a lot of the garbage. Still a gamble, but I think the odds improve a bit. Yes I’ve measured returns and for me it’s been a bit better than index funds so far. Probably not worth the effort unless you enjoy doing this kind of digging as I do. I have nothing against index funds (my 401ks are in these 100%) but I think the message that “you can’t beat the market so don’t bother trying” has been oversold. I have a feeling I’ll be getting my first big lesson in a while, regarding stupid money mistakes, next week when I visit an accountant for the first time. I’ve been managing my tax returns myself for the past 5 years, to save money! Meanwhile every year I’m taking out retirement savings loans to avoid paying taxes. More on this to come…. I’ve made some BIG financial mistakes but as time went on, I realized those bad mistakes turned out to be blessings. So my question is”are there really things such as bad financial mistakes” then? At 67, I have to say no. We do what we do at the time and we learn from them. No regrets. I’ve made plenty of financial mistakes, but I’m not to sure I would want to undo them. While *maybe* I would be better off financially now, I definitely wouldn’t have learned what I did from those mistakes.